Wear your favorite characters from Rick and Morty in the form of these cool pins. "Get Schwifty" and be the envy of everyone at the party! 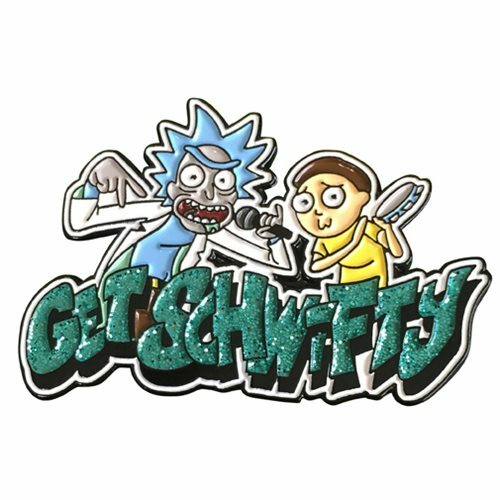 The sparkly Rick and Morty Buff Arm Morty Lapel Pin measures approximately 1 1/2-inches wide. Be sure to collect them all: Buff Arm Morty, Get Schwiffy, Noob Noob, and Poopy Family Portrait (each sold separately)!